I graduated from the Maryland Institute Collect of Art (MICA) in 2007 with a BFA in sculpture. 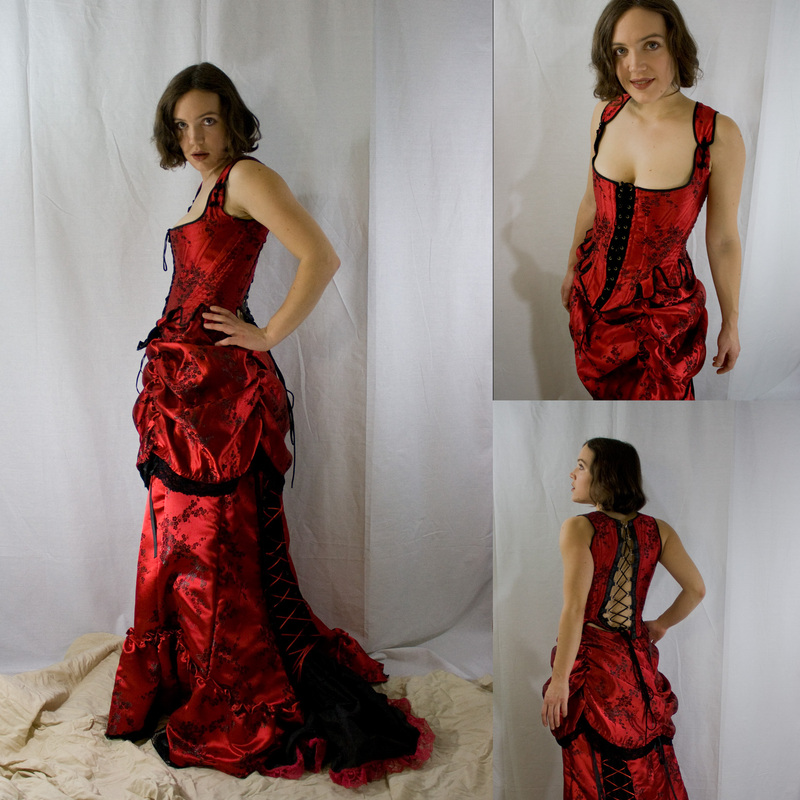 My undergraduate work focused on costume design and collage. From 2007 to 2012, I worked at the Seattle Art Museum in the curatorial and exhibition design departments. I am currently pursuing an MFA in Design and Technology at Parsons. 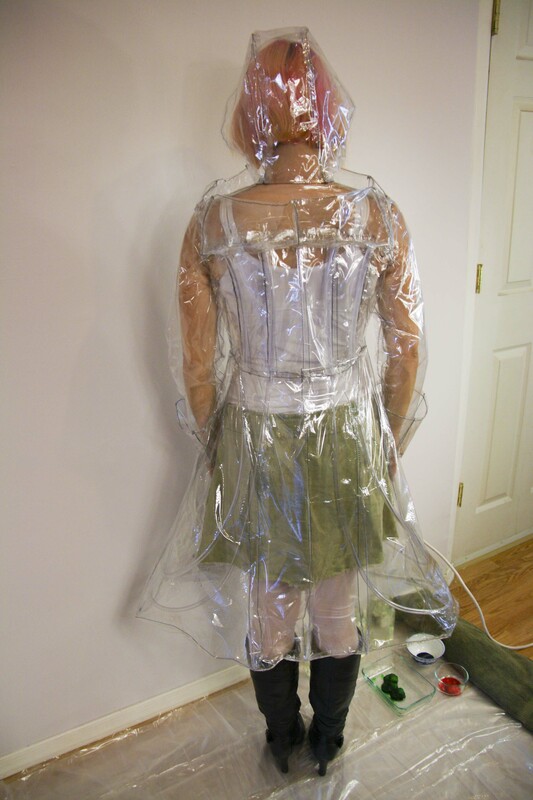 I am interested in integrating my fashion/costume designs with wearable technology. 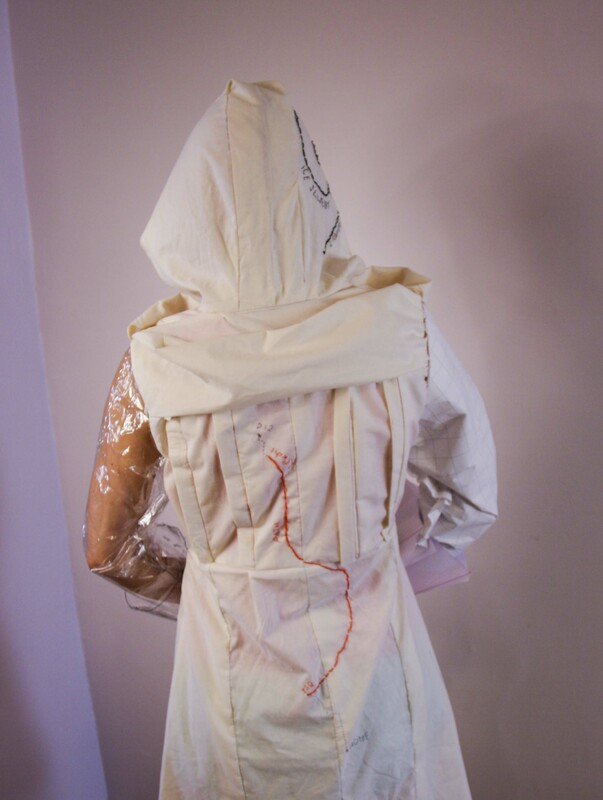 I want to create garments that react to wearers and the environment. 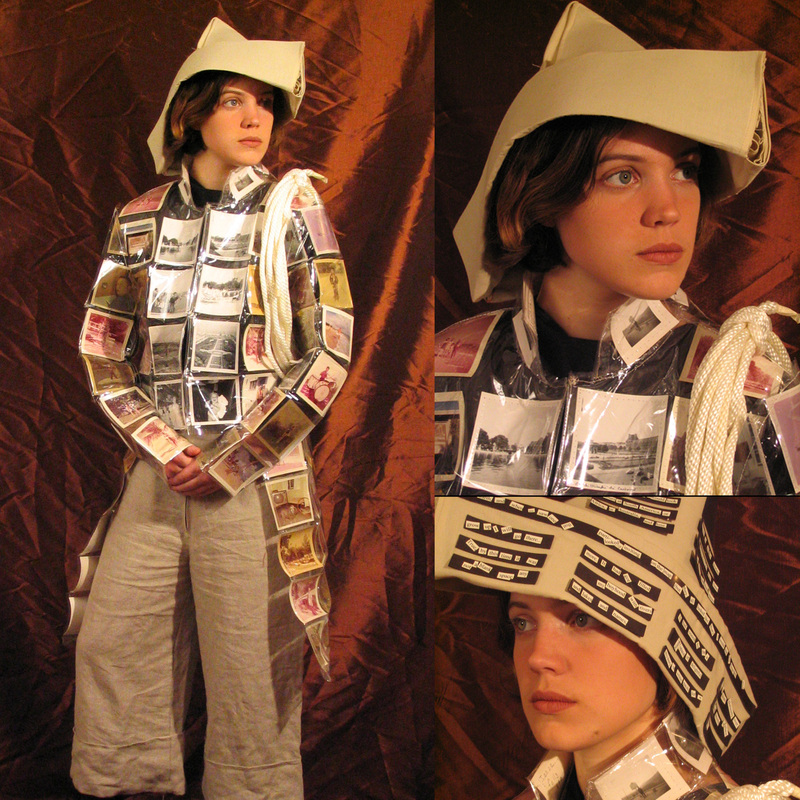 I am particularly interested in doing this for storytelling/performance purposes. I am also interested in how wearable technology can be used with augmented reality. Skills I can share: Sewing, patterning, fashion illustration, making garments out of unconventional materials, curating, exhibition design, graphic design, photography, photo editing, web design, WordPress, Adobe Photoshop, Illustrator, InDesign, and After Effects. Other interests: Storytelling, performance, interaction design, graphic design, photography, typography, web design, emerging technologies, motion graphics, animation, illustration, augmented reality, projection mapping, physical computing, storytelling, game design, information design and visualization, interactive technology, museums, fashion, wearable technology, fine art, art history, collage. I create an alter ego, called the Explorer, as part of my senior thesis at MICA. As part of the project I created three costumes for the character. This version represented the explorer’s memories. 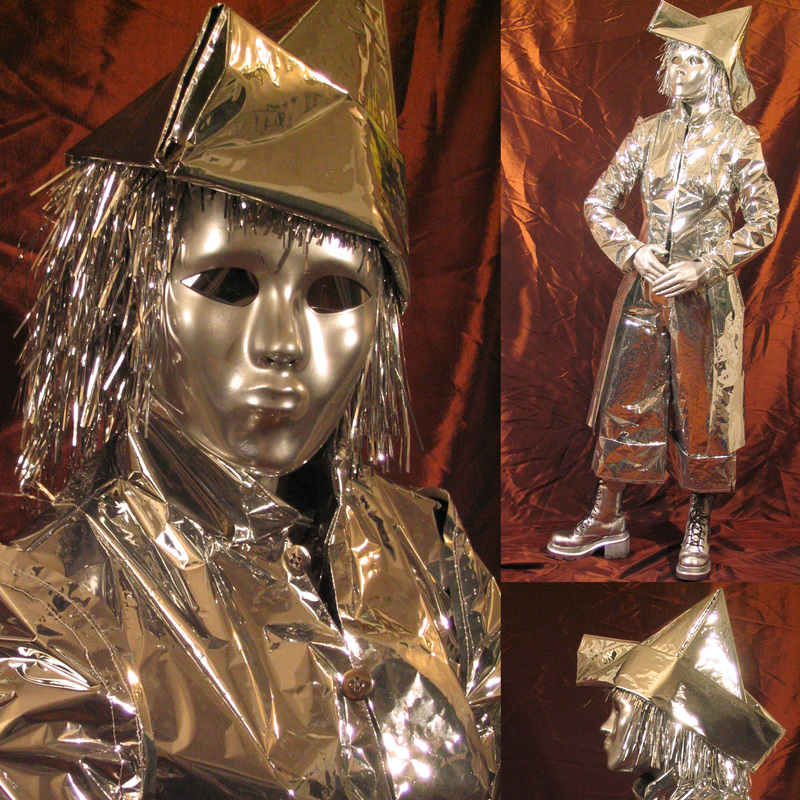 This costume represented the explorer’s reflection. 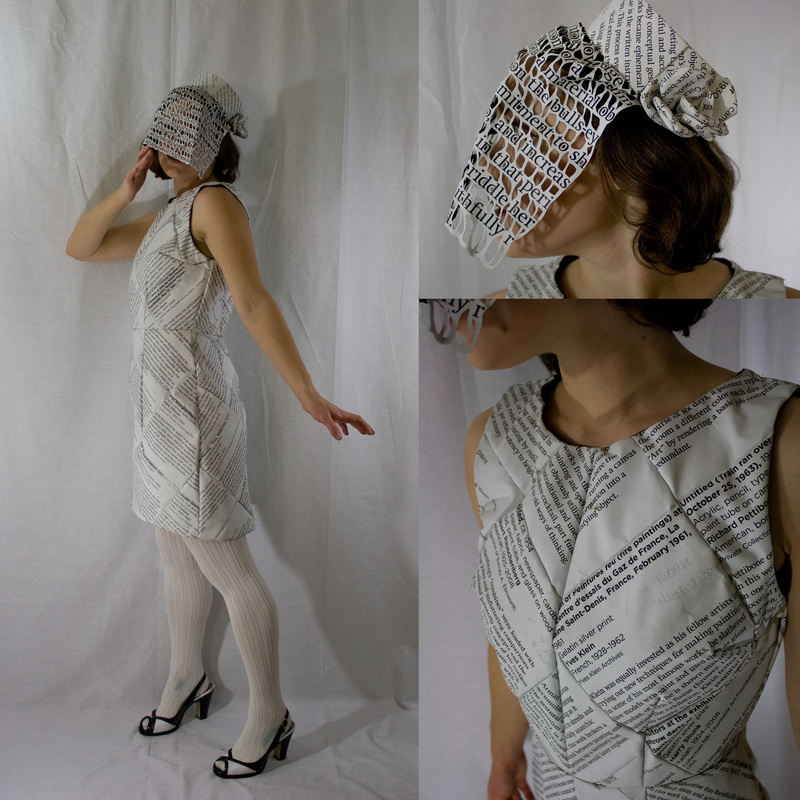 In 2010 I created a garment out of museum labels left over from an exhibition at SAM. 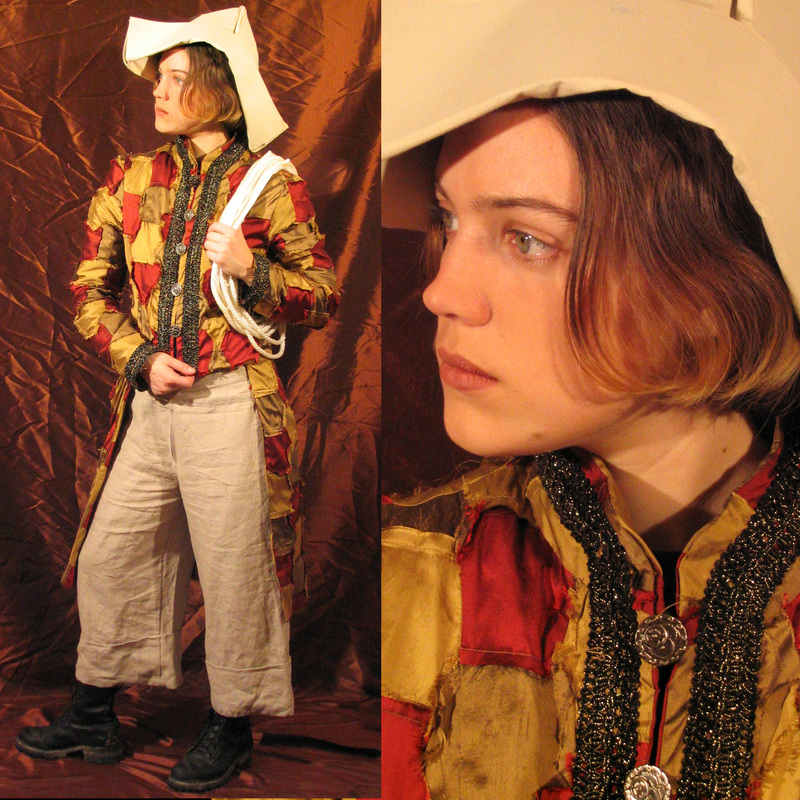 I also enjoy creating more traditional garments. This piece was one of my first projects at Parsons. 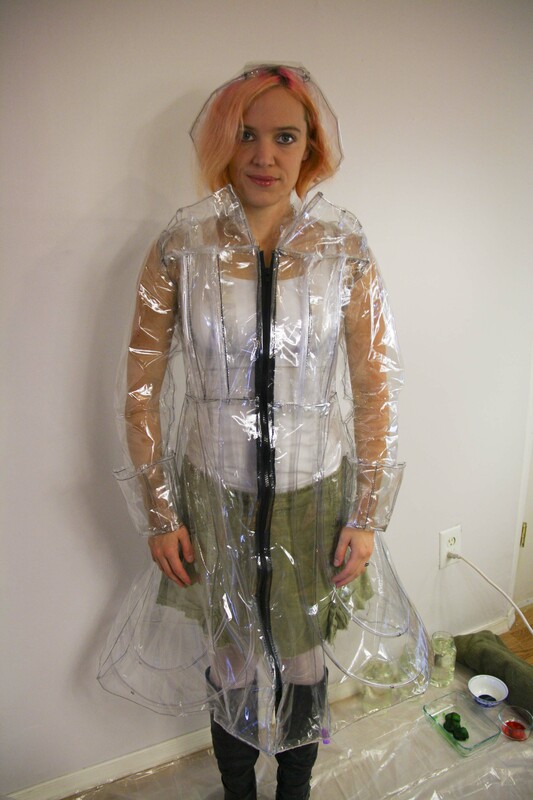 The idea was to create a raincoat that could capture and store rainwater. As part of the assignment, we had to map our creative process. 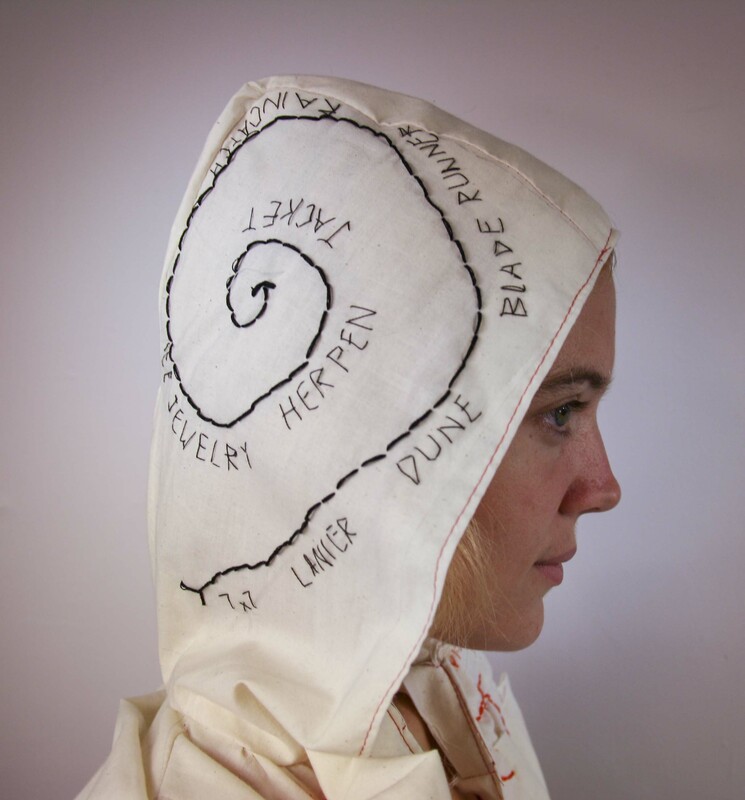 I created a second garment that mapped the creative process of the first in three ways. 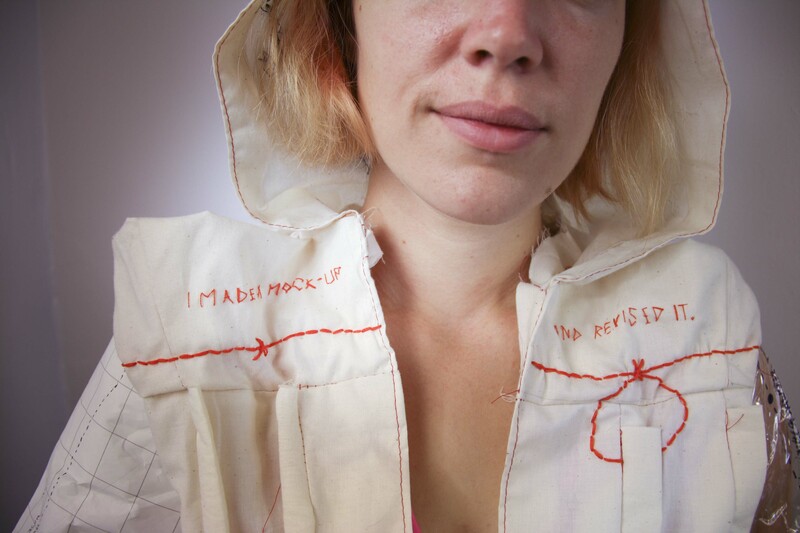 A map of my physical path from home to school is embroidered on the back. The head shows some of the inspirations that went into the piece. 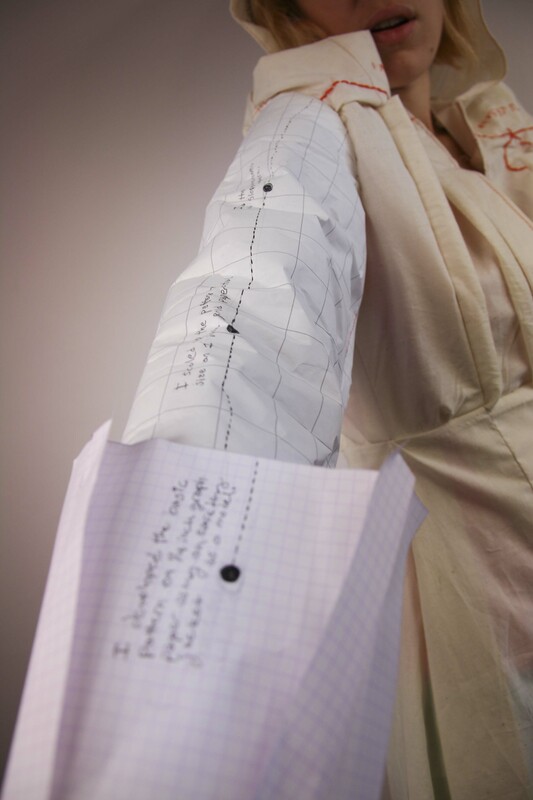 The technical process of patterning and sewing the garment is mapped across the arms. 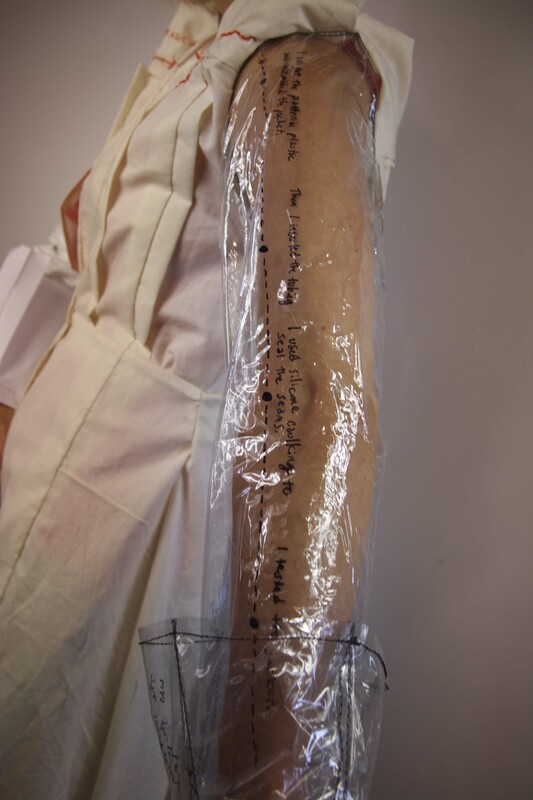 The right arm was done in paper to show the patterning process. 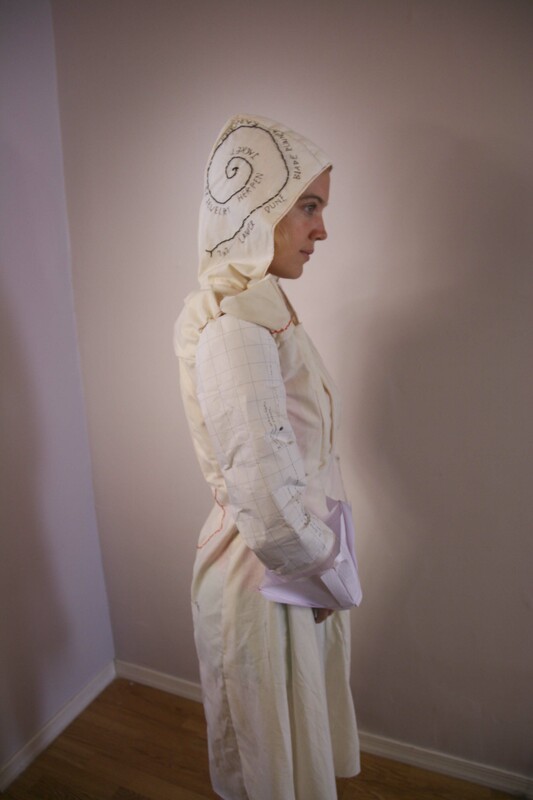 The center part was in muslin because I did a muslin mockup before creating the final garment. The left arm is done int he final material. Check out more of my work on my website www.conteximus.us.